Lifestyle blog about healthy foods, fashion, and Florida life. Now I am sure you are scratching your head and saying “savory oatmeal? ?” But YES! This is something that may sound so weird but it is really good and we all need to try it. I love oatmeal but after a while it can get a little old or boring. Even after adding 1,000 different sweet variations. But I thought one day I would spice it up and make it savory. So first I cut up an entire peeled sweet potato, summer squash, and some onions to sauté in a pan. I used avocado oil for sautéing but you can use whatever oil you like. This can take some time since sweet potato takes a while to sauté. While I was sautéing I added some Mrs. Dash table blend. Let me tell you how much I love Mrs. Dash seasonings. They’re no salt added and all taste delicious. They have a ton of varieties now a days too. And I am someone who personally tries to have very little salt in my diet. So these are amazing! Table blend I tend to use the most since its the most versatile of all the spices. So while everything is sautéing I prepare the oatmeal. I use raw organic oats that we’re Publix brand but as usual you can use your favorite kind. As long as its plain and not a sweet flavor added. Unless you’re into that kind of thing. Who am I to tell you not to eat eggs, sweet potato, and squash in your peach oatmeal?! But back to the oatmeal prep. You can make it in the microwave, on the stove, or your instant pot! I did stove because I already started it before realizing I should have used my new fancy instant pot. But I will definitely do that next time! So I added the mrs. Dash again to the oatmeal. A good amount so it blended completely throughout. Then once all my veggies were done I laid them nicely around the plate and sprinkled the onions around with some more seasoning. Then I cooked an over easy egg, though I bet scrambled or any other kind of egg would be amazing. Or no egg if you don’t eat eggs! I made sure to pop the center so I could stir all the yolk around with the oats and then eat! This was definitely different and I had to make my brain get used to it for a few seconds since I’ve just aways associated oatmeal with fruit and sweet flavors. But I will definitely try this again with more experimenting! Sauté veggies in avocado oil on medium heat. Sweet potatoes take longer than the others so Id add those first. If you slice thin they will cook quicker. Cook for about 20 minutes or more as needed. Prepare oats according to package or how you prefer to cook them. Add seasoning to oats and place in bowl. Add veggies and top with the egg of your choice. Enjoy! I love oatmeal too. I have never thought of doing it savory style. I’m going to have to try it. Thanks for the idea! Yes it’s so different but so good! This sounds very interesting for sure! Like everyone else, I have never considered having a savory version of oatmeal. I’m intrigued and I’ll have to try it this Sunday. Definitely going to be checking back for more of your recipes! 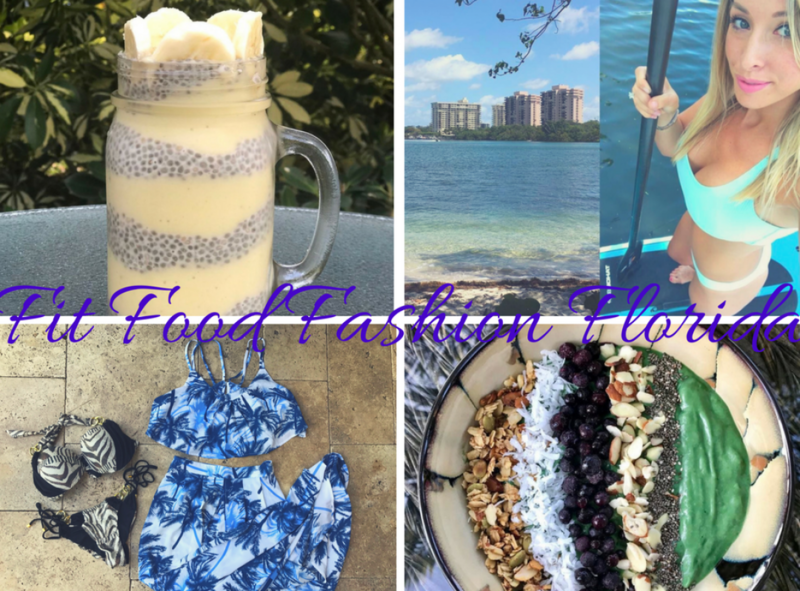 Lifestyle blog about healthy foods, smoothies, fashion, and Florida life.